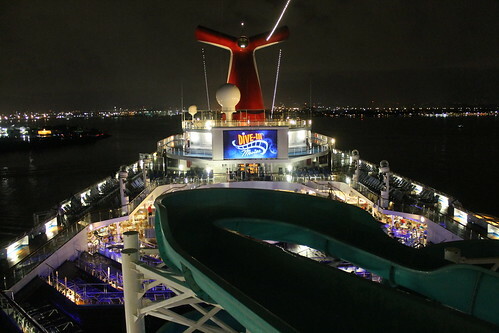 Atop a giant water slide. My mom and I take a winter cruise from San Juan, Puerto Rico to the South Caribbean: St. Thomas, Barbados, St. Lucia, St. Kitts and Nevis, and St. Maarten. A lot of buffet food, slot machines, beaches, snorkeling, and hanging out. I took photos on my Canon, and we also have photos from my mom's waterproof Lumix. A gorgeous week, and best of all, a lot of mother-daughter bonding time!